* any trailerable cabin boat under 25’ with adjustable keel, eg. Tanzer 22, Catalina, etc. Regatta fees include breakfast & lunch both days and a BBQ dinner on the Saturday evening for skipper and crew. Meals may be purchased for regatta participants’ family & friends and spectators at registration only. Additional meal tickets are $5 per lunch and $10 for Saturday Dinner. 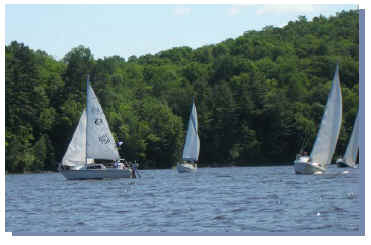 For more information visit www.gryc.ca or call the GRYC at (819) 827-2122, or email regatta@gryc.ca.